Griller for flame grilled burgers for sale. With 5 kilos lava rock included. Stainless steel body, heavy duty, with drain pan, gas operated. Call or tex 0935-430-0739/ 0998-328-3324 for faster response. Different capacity and designs according to your specifications. 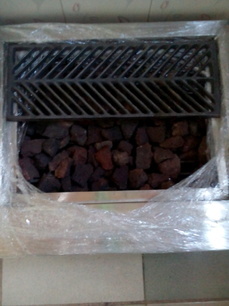 We also install hood and ducting. Grilled Chicken Tex-Mex Salad. This hefty and satisfying salad is a medley of lively flavors. Make it even tastier by sprinkling grated sharp cheddar cheese on top.